For sanity’s sake and practice of good form, I’ve been doing my absolute best to commit a half a day each weekend to going diving. Call it ‘my time’ to decompress from terra firma while striving to maintain all of the acute senses and perceptions that are needed to push this life aquatic just a bit further ahead. Through these weekend excursions I’ve found some reignited enthusiasm for local exploration. It’s easy to get caught up in the idea of needing to travel to some exotic locale to see or experience something new, but as I’ve been discussing my recent dives with colleagues, it’s dawned on me, and many of my peers, that just steps away from the norm puts you well into oceana incognita – an unknown ocean – and that range can be reached from any beach in the world. 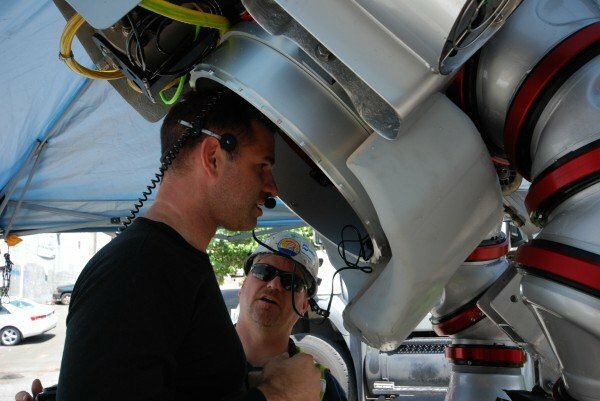 My new found local objective is to develop the tools and techniques to work up to a mile long dive away from the shore – this requires navigation equipment, new configurations for carrying ample life support, and it goes on. It’s been an exciting path to be on and I’ve already stumbled upon some new territory. 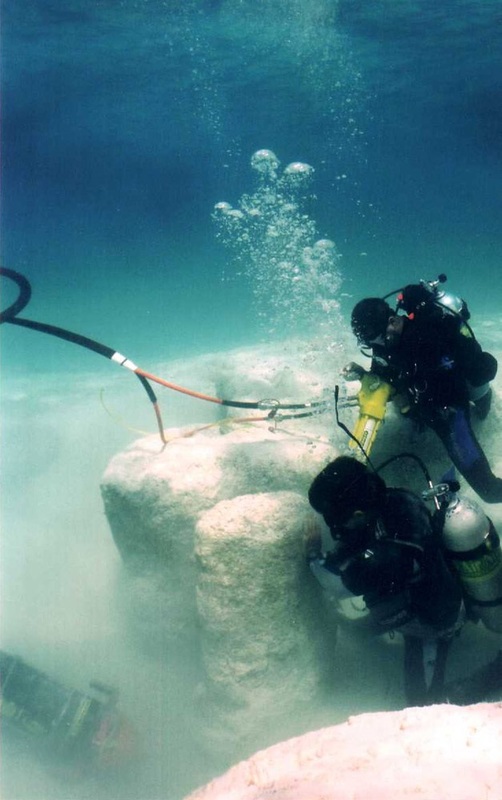 For instance, at 800 linear feet from the beach in about 80 feet of water there is a massive granite reef with about 20 feet of relief from the bottom. It stands alone amidst the vast barren desert, creating a stunning stomping ground for a variety of marine life. Anyway, this morning was my first wet suit dive of the season, marking my tradition of making the switch from diving dry on Mother’s Day weekend. 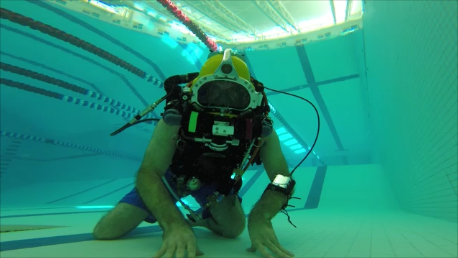 Just as I suited up and got my gear together I was stopped dead in my tracks – the high pressure spool o-rings on my HP gauge had blown out. Game over, that is unless you have packed a reasonable save-a-dive kit and found another o-ring. Phew! Saved by slivers of a cent yet again – these #003 o-rings are probably a tenth of cent a piece. 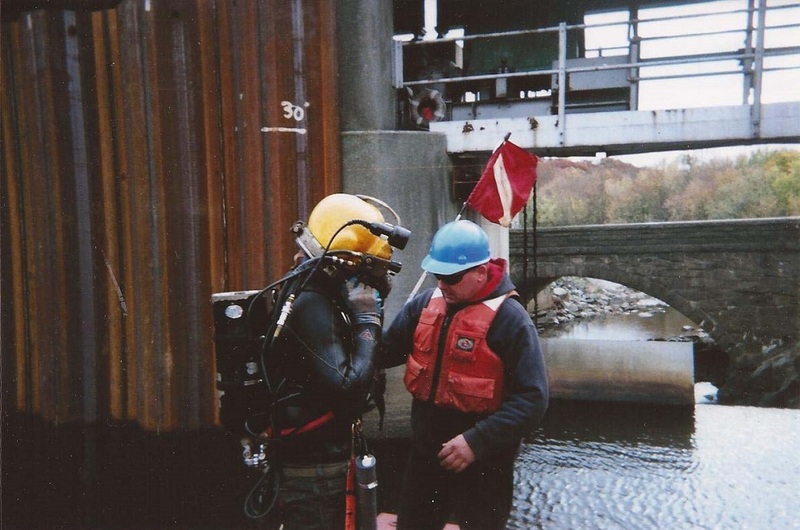 Naturally that’s the way it always goes – you can have ten thousand bucks worth of gear going in the water but be shut down by the 1/10th of a cent o-ring. After that hurdle, I trudged down to the water’s edge and despite is being low tide, visibility was tremendous…30 feet or more, which can likely be attributed to the still cold water. It was a balmy 45 degrees. I definitely rethought my wetsuit decision more than once during the dive. The HP spool. 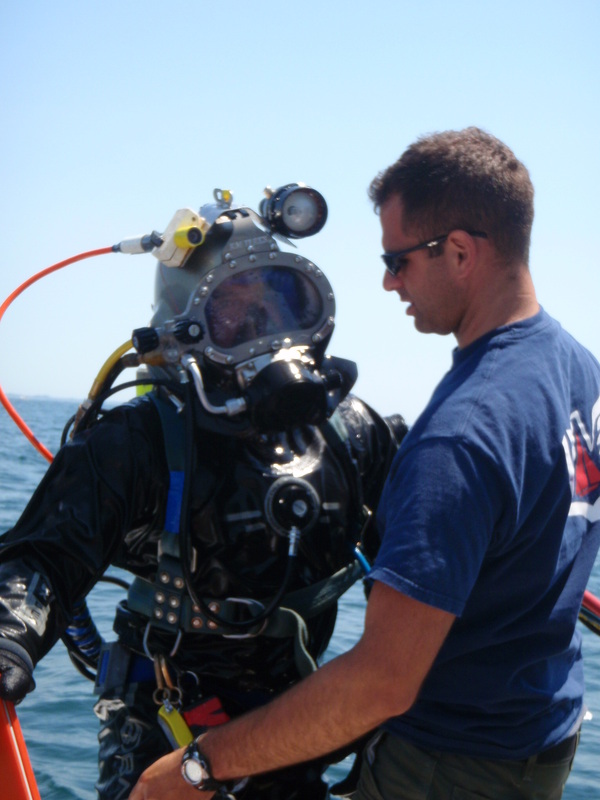 #003 o-rings are the smallest found within dive equipment, and among the most frequent to fail. Without them, dive over. Nevertheless, I made a quick run to about 700 linear feet from the beach where I caught the tail end of the outgoing tide in deeper water which is at the edge of the Narragansett Bay‘s east passage. Given the flow condition, I called a quits and headed back, and took some time to take in the tremendous scene given the clear water. From maintaining buoyancy about 10 feet over the bottom I could clearly see my line marks from previous runs at this same site. it was pretty remarkable to see how consistent the runs have been when the visibility has previously been short enough that I was not relying on visibly identifiable paths. Every 20 feet or so there was a skate half buried in the sand. The crabs were scuttling about, and there was no shortage of jellyfish in the water column with their mantle’s acting like a prism for the light penetrating the surface. For Rhode Island diving, this was about as good as it gets. 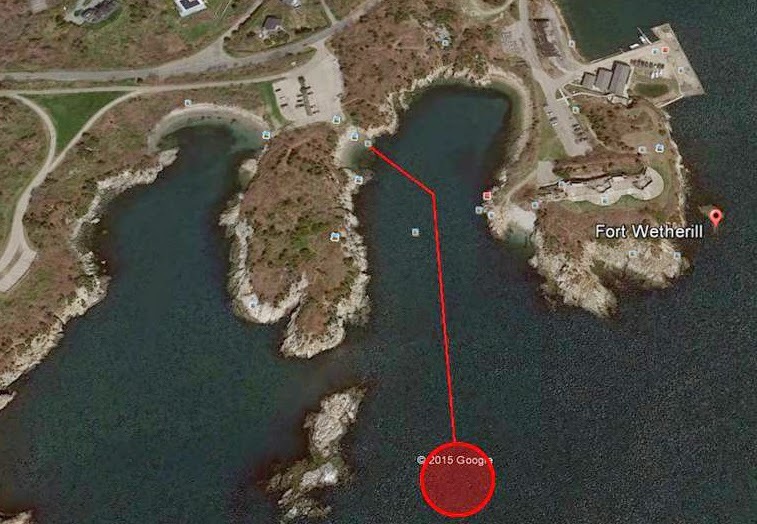 Approximate 800 LF shore run from Ft. Wetherill. Red circle indicates reef area in 80 fsw. 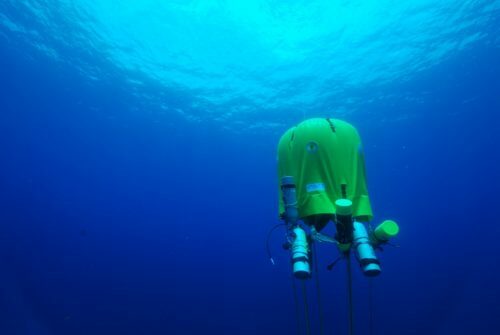 As I keep working the site, the plan will be to continue surveying the edge of the channel, and begin to consider traversing the channel after a series of work up dives. 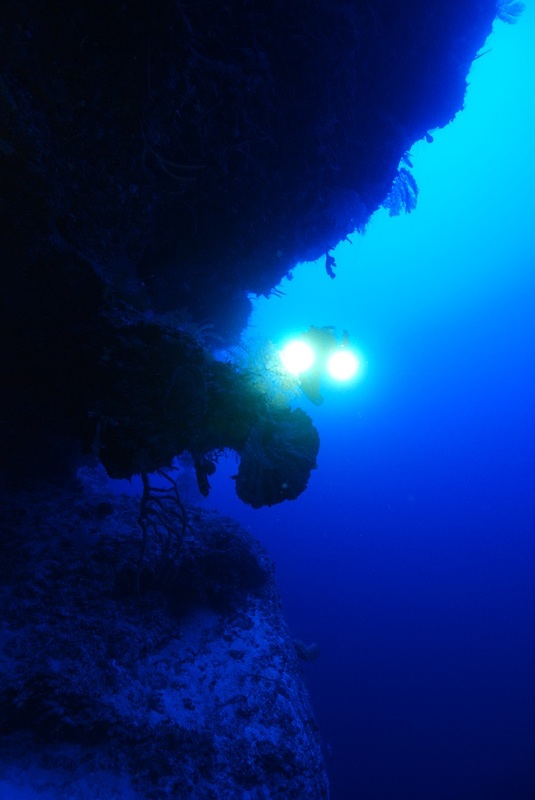 Certainly plenty of work to keep me busy this season, and when considering that this is all diving at just one single dive site – the effort speaks to the many lifetimes of opportunities that await right in our backyards.